Development strategy of the Russian Arctic and national security for the period until 2020, approved by the President of the Russian Federation – Vladimir Putin, one of the priorities of the state activity in the Arctic is the complex socio-economic development of the Arctic zone, the development of science and technology, military security, defense and protection of the Russian Federation state border. In April this year FGUP GosNIIAS experts successfully completed the task of organizing and conducting experimental research to use in Arctic conditions, in the interest of the state and the civil aviation system ADS-B (Automatic Dependent Surveillance Broadcast) Mode 4, deployable in the Russian Federation according to the programme "Introduction of the Broadcasting Automatic Surveillance (2011-2020)", approved by the Russian Ministry of Transport. Beforehand in October 2015 FGUP GosNIIAS jointly with NITA Limited Liability Company (LLC) and Military Transport Aviation Command conducted with positive results research testing on using in the interests of the Military Transport Aviation the ADS-B VDL-4 airborne and ground-based hardware and software at the the airfield Migalovo (Tver) base involving three IL-76MD aircraft. They confirmed the possibility of radarless aircraft control by the mission management team and ATM system, situational awareness implementation due to mutual surveillance of aircraft and other stationary and mobile objects, including the landing site, an effective solution of the search and rescue problem. A decision made by the Russian Aerospace Forces Commander has approved the continuation of these research activities in the Arctic Region. 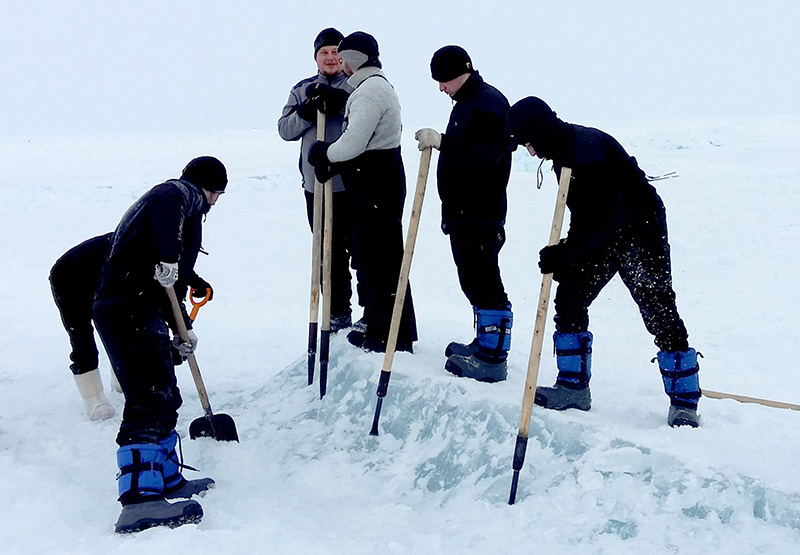 In January 2016 according to an appeal made by the Military Airlift commander Lieutenant-General V. Benediktov specialists of the Institute started to organize experimental research as part of preparing activities on the air support of carrying out the high-latitude Arctic expedition "Barneo-2016" held by the Russian Geographical Society Expeditionary Center and the Federal Air Transport Agency. two Mi-8T helicopters of the "Aero Geo" airlines (Krasnoyarsk). 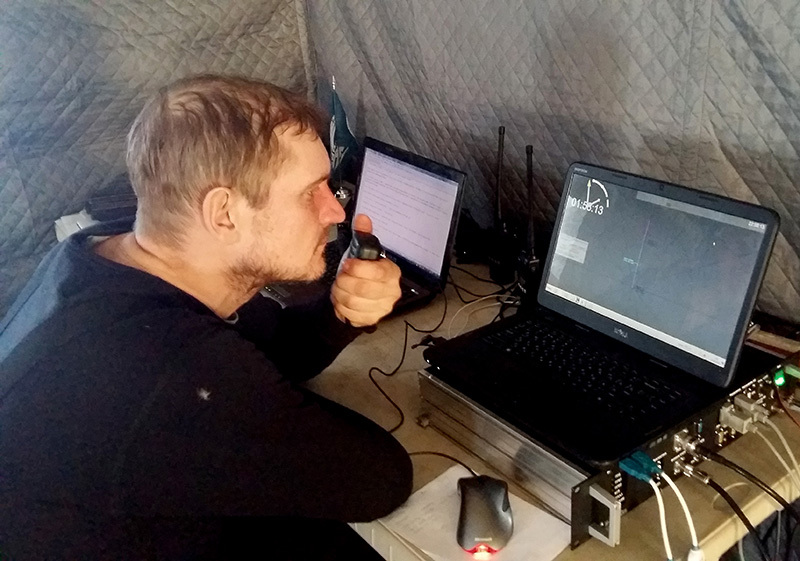 Studies and exercises have been conducted with flight crew members on the ADS-B VDL-4 onboard equipment usage pattern for the period of carrying out experimental research in the Arctic Region. 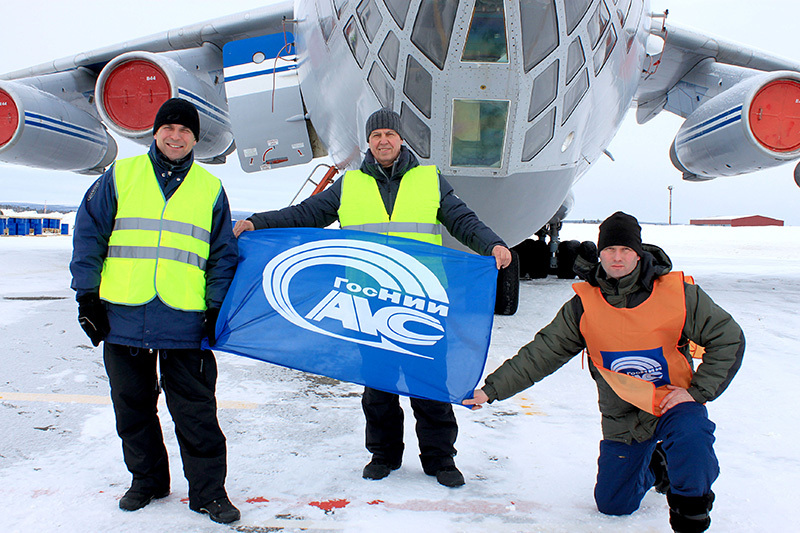 The Department 1900 specialists Sychev Igor Anatolievich and Chernyshev Yuri Petrovich within the group of the Russian Geographical Society Expeditionary Center experts led by Glagolev Dmitry Anatolievich directly participated in the preparation and implementation of the IL-76MD flights from the airport of Murmansk to the North Pole for the purpose of paradrop and a parachute assault in deploying a high-latitude Arctic expedition. 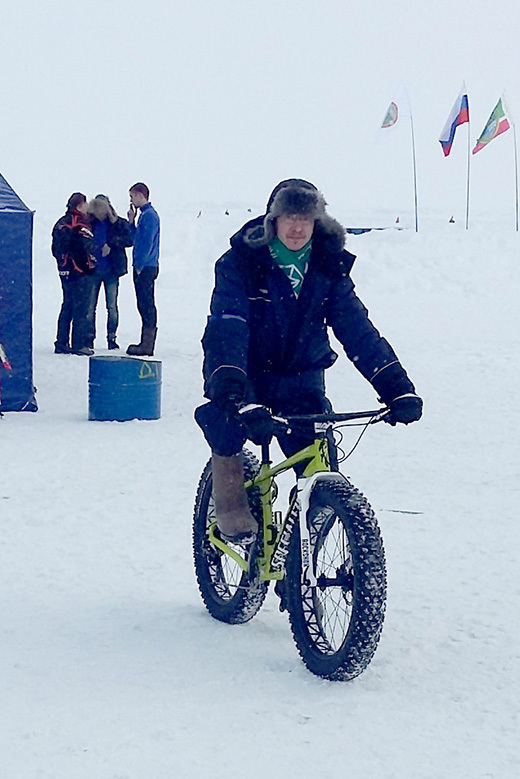 In a short time, Vitaly Vladimirovich Basov (an employee of Subdivision 1900), went to "conquer" the North Pole. For a week Basov V.V. 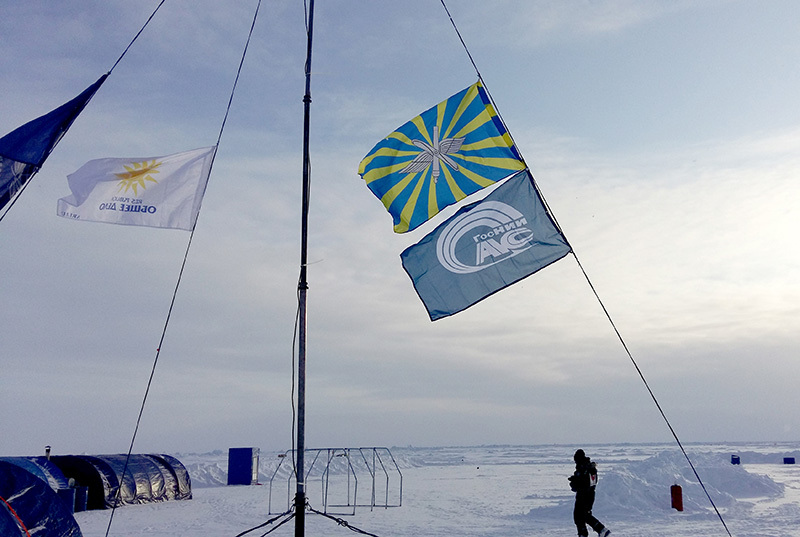 lived in polar conditions at the Barneo ice airfield, providing, with a patriotic mood and attitude, technical assistance in the installation and operation of the ADS-B MDL-4 equipment during the high-latitude Arctic expedition activities. The NITA LLC employees provided technical support for the deployment and operation of the ADS-B MDL-4 small-sized station in the interests of the Barneo aerodrome flight operations director; it allowed to implement the possibility of observing the aircraft at a distance of 300 km. 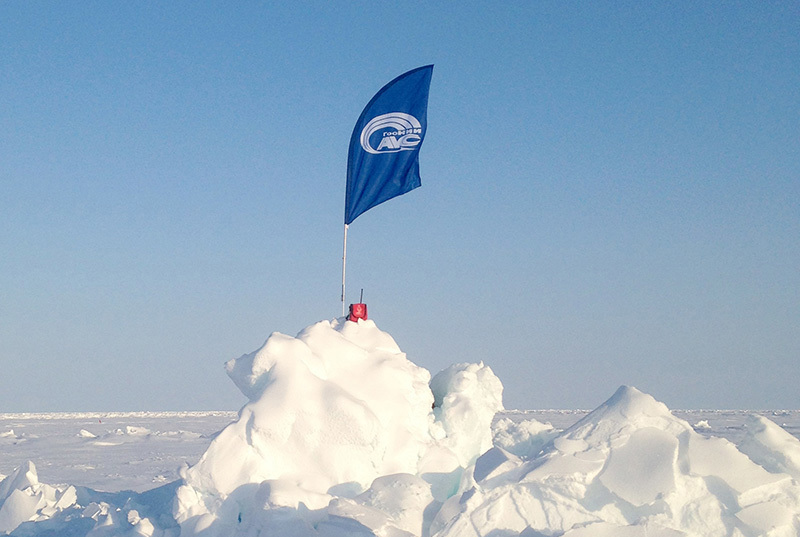 refining recommendations on the integrated ADS-B technology implementation for monitoring the air traffic participants, ground and other objects, organization of interaction while performing tasks in the Arctic region. 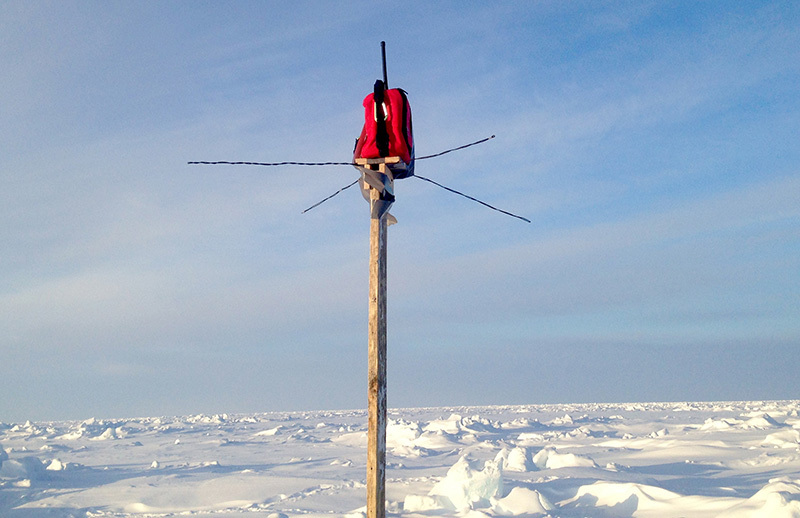 Through using the ADS-B VDL-4 equipment functionality the mission to ensure the mutual monitoring for the participants of the experiment, the interaction in solving the problems of airdrop and aircraft landing on a drifting ice floe has been implemented. With the aid of ADS-B VDL-4 small-sized equipment (beacons) developed in the Subdivision 1900 (one of which is represented in our museum), information was provided on the runway position in the pilot’s electronic tablet, so that the crews were able to execute landing approach safely. 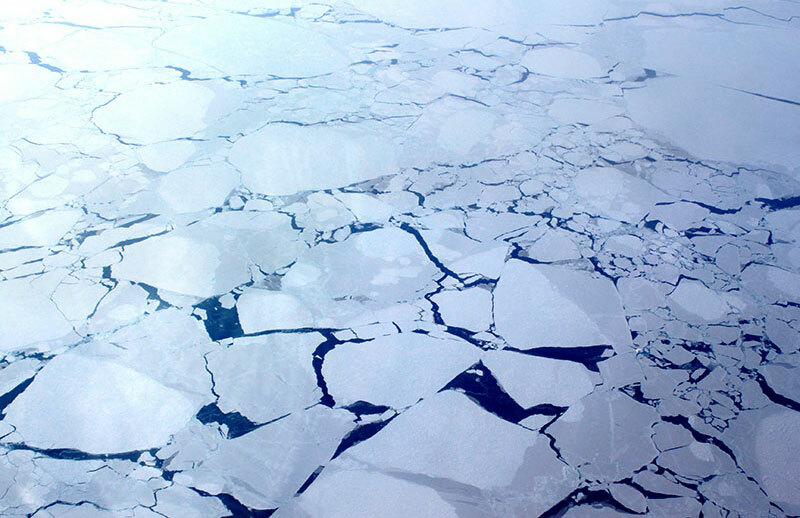 Experimental results have confirmed the usefulness of the ADS-B VDL-4 system to support the activities of the civil and state aviation in the Arctic. 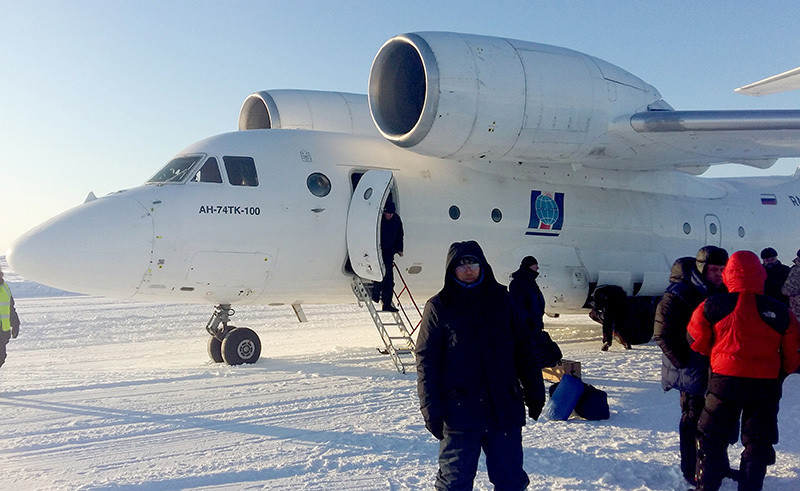 FGUP GosNIIAS plans to continue further cooperation with the Military Transport Aviation and the Russian Geographical Society.